Well, that’s one way to force people to act right during the emotionally charged period surrounding the dissolution of a marriage. 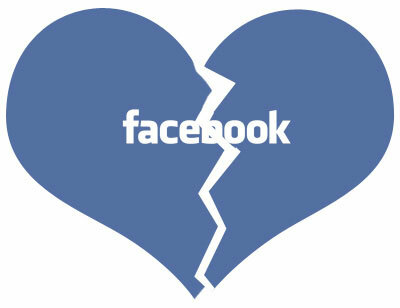 In modern breakups, often the presence of social media and dating apps makes moving on while simultaneously twisting the knife during your former partner’s heartbreak far easier than it was just ten years ago, enabling freshly separated couples to torment one another with updated and publicly published relationship statuses and meet new potential love interests without ever leaving a shared domicile. The specter of being tormented by an old love’s new and improved love life looms large, but perhaps the ruling of a Connecticut judge will give newly swingle ex-marrieds something to think about. Judge Kenneth Shluger decided that attorneys for divorcing couple Stephen and Courtney Gallion “exchange ‘their client’s Facebook and dating website passwords’ so as to possibly prove or disprove allegations the couple had been making against one another in court, mainly in relation to fitness for parenting. If that terrifies the pants off you, it probably should- an injunction to prevent Courtney Gallion from deleting her potentially incriminating messages was requested in what sounds to be a gross invasion of privacy, albeit one without legal precedent to prevent it. As Forbes points out, the order also violates Facebook’s TOS, but it’s unlikely such details are included in judges’ decisions on whether to include evidence gathered from private communications carried out through such networks. How boned would you be if something like this happened to you?